That’s about to change, because of legislation Senator Portman and I worked to pass that lifts this outdated restriction and will get more Ohioans into treatment beds. The old rule was known as the Institutions for Mental Disease – or the IMD – exclusion, and banned states from using federal Medicaid dollars to pay for treatment at residential mental health or substance abuse facilities with more than 16 beds. I’ve traveled around Ohio doing roundtables with local health departments and medical professionals and others working to fight addiction, and this rule was a top concern that I heard about over and over. 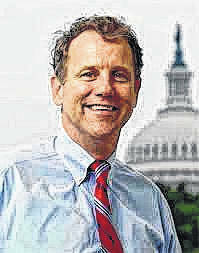 Senator Sherrod Brown represents Ohio in the Senate and is a guest columnist.